Install your electric trailer brake controller quickly and easily with this custom wiring adapter. Simply plug one end of the adapter into your brake controller and then plug the other end into the built-in port in your vehicle. Call 800-298-8924 to order Tekonsha accessories and parts part number 3041-P or order online at etrailer.com. Free expert support on all Tekonsha products. Guaranteed Lowest Price and Fastest Shipping for Tekonsha Custom Wiring Adapter for Trailer Brake Controllers - Toyota. Accessories and Parts reviews from real customers. 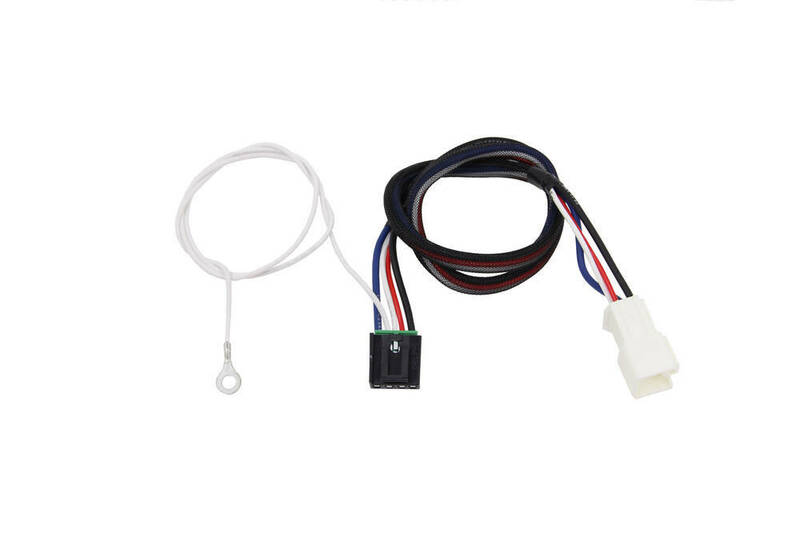 Note: To illuminate your vehicle and trailer brake lights when you activate the manual override on your brake controller, use this adapter in conjunction with the Tekonsha brake controller converter with 7-way adapter (30235-P - sold separately). Required for use in the state of California. 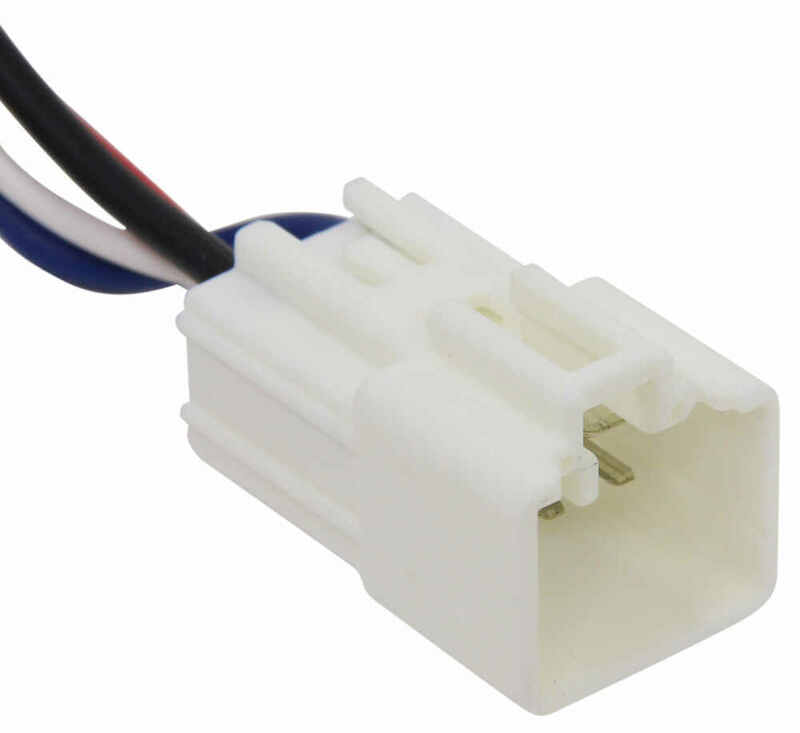 This adapter plugs into the 5-pin connector on your vehicle's built-in brake control wiring harness. The harness is located underneath the dash, to the left of the steering column, taped to another harness near the emergency brake pedal. This adapter requires no cutting or splicing of wires to install. It is designed to plug directly into your electric brake controller for the simplest installation possible. Because there is no hardwiring, installation is not permanent. You can unplug and remove your brake controller at any time and securely stow it away. Today we're going to be taking a look at the Tekonsha 00:00:03 custom wire and adapter for trailer brake controllers. This product is going to fit certain years of the Toyota Forerunner. The plugin wire and adapter allows for quick, simple installation of your electric trailer brake controller. The wire and harness is going to measure overall about thirty inches long. 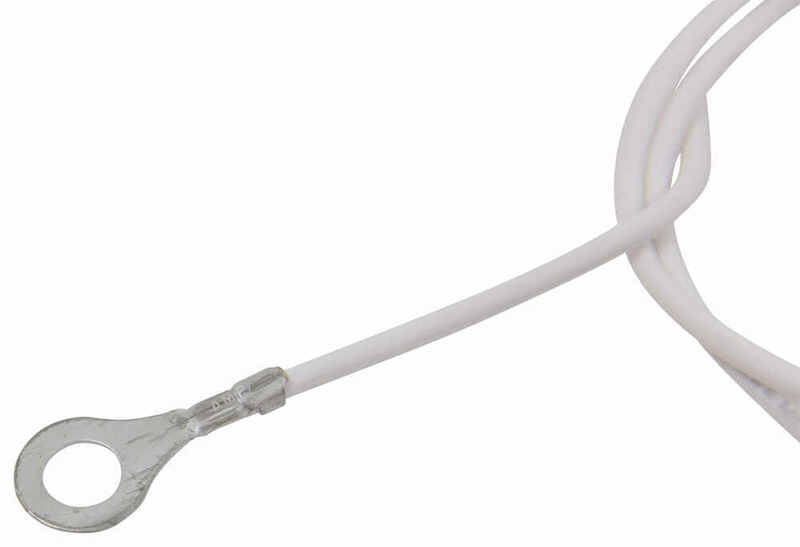 It does not require you to cut or splice any wires for the installation. The custom connector end right here is going to plug into the built in port in your vehicle. The included instructions, they are going to be very detailed. These are going to walk you through the installation process step by step and they're going to show you exactly where that port is. The plugs are going to plug into one another for a nice, tight, secure fit. They are going to snap lock together. The white wire on this unit is going to be your grounding wire. It's got a ring terminal already attached to the end of it. You need to find a nice, clean metal surface to secure it to, and you can secure it with the self tightening screw. The other end is going to plug into the back of your electric brake controller. This is designed to be compatible with proportional brake controllers from Tekonsha, so it should just plug right in. Again, its got the locking tab up top so it's going to allow for a nice, tight, secure fit. The brake controller must have the built in plug for the adapter to connect. This will not work on controllers with pig tail 00:01:16 wiring harnesses. After you plug in the connectors it will be fully installed and after you make the ground connection.One of the neat things about this is it's going to have a protective mesh that covers up the wires, so it keeps the wires all bundled together for a nice installation. It also eliminates wires from hanging down around your feet. Now because there are no wires to connect to the brake controller the installation is not permanent. What that means is that you can unplug and remove your brake controller at anytime to transfer it to another vehicle or securely stow it away. That's going to do it for our review of the Tekonsha custom wire and adapter for trailer brake controllers..
Order: RelevanceNewestRating - High to LowRating - Low to High Install your electric trailer brake controller quickly and easily with this custom wiring adapter. Simply plug one end of the adapter into your brake controller and then plug the other end into the built-in port in your vehicle. I would highly recommend this brake controller to anyone. Used it many times and is very easy to adjust based on weight of trailer being towed. Its working out perfect!...as usual, great customer service,, awesome products! Still loving it! Works great and I’m not always towing so it’s nice to be able to unhook it and store it in my glove box, since I don’t really have a good spot to mount it in my truck. Great product! Been a year, still working great. The correct install harness for a Tekonsha Primus IQ brake controller part # TK90160 in your 2018 Toyota 4Runner is the part # 3041-P. We confirmed this with Tekonsha so it's a guaranteed fit. You can install your Tekonsha Primus IQ brake controller # TK90160 in your 2017 Toyota 4Runner by using the wiring adapter part # 3041-P.
To install the Prodigy P3 brake controller part # 90195 in your 2016 Toyota 4Runner all you need is the install harness part # 3041-P. The Tekonsha brake controller install harness you need for your 2018 Toyota 4Runner is the part # 3041-P that you referenced to install the Primus IQ part # TK90160. The problem you are experiencing is because you are using the wrong harness unfortunately. 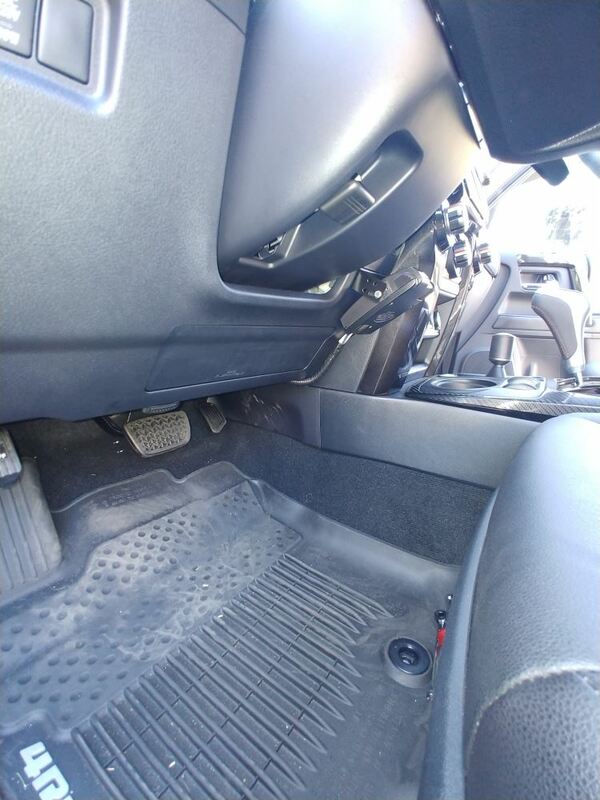 Since your 2016 Toyota 4Runner has a factory 7-way there is a brake controller connector port by the emergency brake pedal. If you check out the picture I attached you can see where the connector is located. The part # 3041-P is the connector that would plug right into it. For your 2016 Toyota 4Runner the correct brake controller install harness for the Prodigy P3 # 90195 or P2 part # 90885 would be the part # 3041-P which would fit and work well. It will plug right in under the dash of your vehicle for a very easy install. I prefer the P3 over the P2 though as it uses full words on the display instead of abbreviations. I did some checking and for your 2016 Toyota 4Runner you will need brake controller wiring harness # 3041-P. It is compatible with the P3 # 90195 as well. The grounds on many Toyota vehicles including your 2014 Toyota 4Runner has proven to be insufficient so an additional ground wire has been added to help when installing the # 3041-P. There is likely an existing ground location under the dash you can use or a bare metal surface that would be perfect for a ground. The firewall is one option. Just as long as it isn't a painted or coated surface and just bare metal it will work. The grounds on many Toyota vehicles including your 2017 Toyota 4Runner has proven to be insufficient so an additional ground wire has been added to help. There is likely an existing ground location under the dash you can use or a bare metal surface that would be perfect for a ground. The firewall is one option. Just as long as it isn't a painted or coated surface and just bare metal it will work. To install the Tekonsha Primus IQ brake controller part # TK90160 in your 2016 Toyota 4Runner will only require you to use the install harness part # 3041-P. 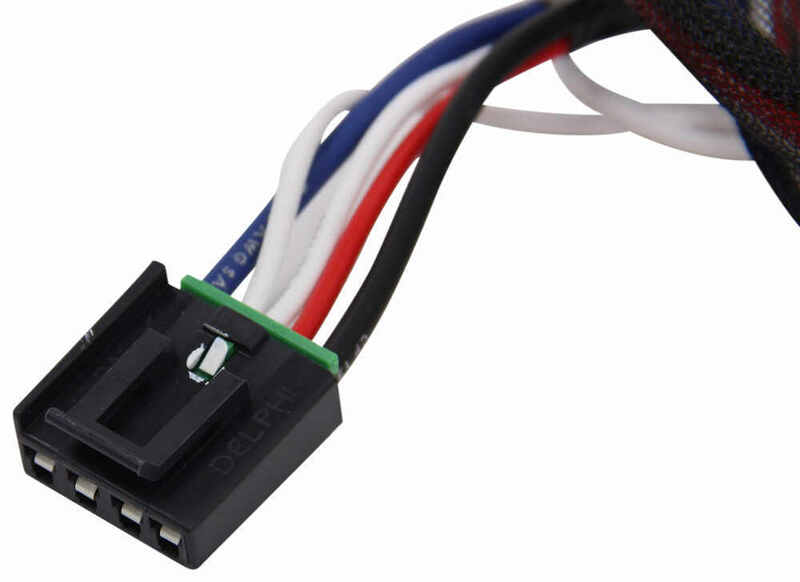 This adapter plugs into the 5-pin connector on your vehicle's built-in brake control wiring harness. The harness is located underneath the dash, to the left of the steering column, taped to another harness near the emergency brake pedal. The plug-in adapter you need for your Tekonsha P3 brake controller, part # 90195 is part # 3041-P. One end of the adapter plugs into the back of the brake controller and the other end plugs into the harness to the left of the steering column. It may be taped to another wiring harness close to the emergency brake pedal. Check out the attached photo.